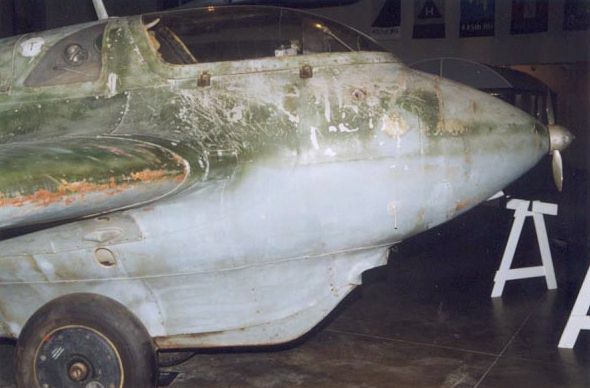 Detail view of the right front fuselage, showing extreme weathering and scratching. The wing leading edge has chipped down to the plywood. The towing line attachment point looks a little different than the original design. Note the very dark gray (RLM 66 ?) interior behind the rear-view window.